Different ends of the spectrum for this pair of early season Top 5 veterans. 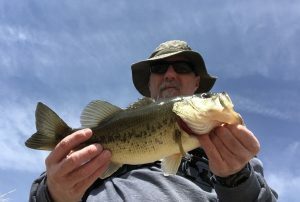 One guy is a catch away from hitting the 20-pound mark for another year while the other guy just filled his limit. 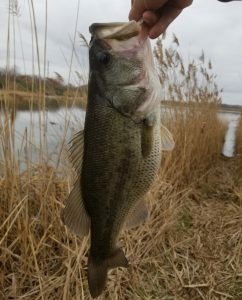 Have a look below at results from the first few days of April. 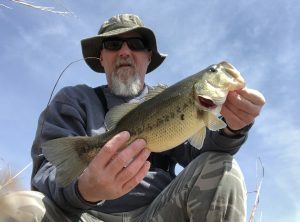 Angler Comments: The first bass of an April Fool’s Day outing would turn out to be Top Bass of the day. 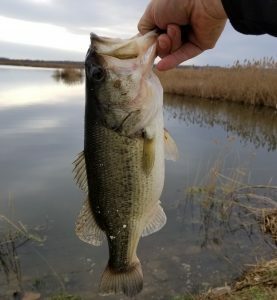 Angler Comments: Gave this lake a second shot after a break of about an hour and a half and was immediately rewarded with this bite upon my return. 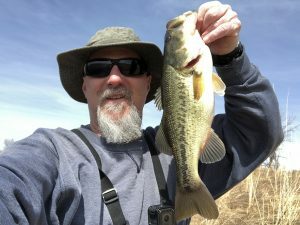 Angler Comments: Casting a bowl type area, my lure had sunk in the water column a little more than normal as I pulled out some backlash and the added depth was a winner. 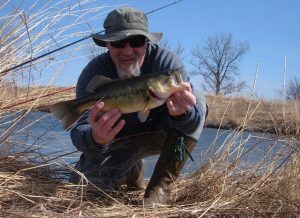 Angler Comments: Minutes after landing the 1-12 of my prior entry I let the bait sink as before and what do you know, another solid catch. 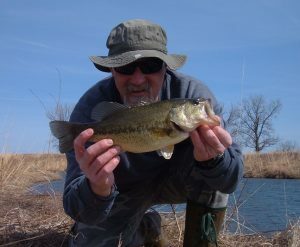 An outstanding start for Jim and I’m looking forward to the text message and pic of the bass that finds those missing four ounces. Good luck.